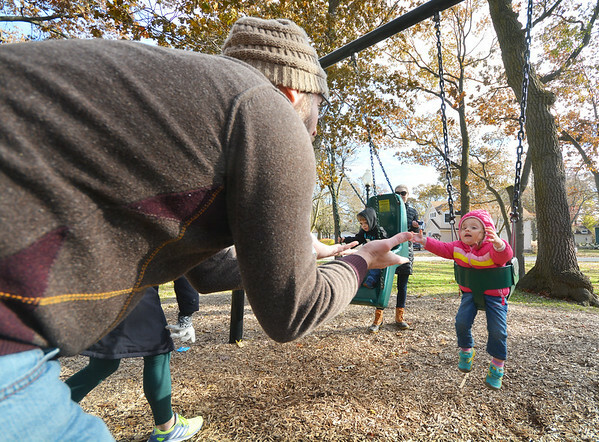 Daniel Howard, of Nashville, plays with his daughter, Vella, 19 month old, on a swing at F&M Park. They, along with Vella's mother who is soon expecting twins, were visiting Vella's grandfather in Traverse City for Thanksgiving. "I think anything that's detrimental for respiratory health is a bad idea in public spaces," Howard said when asked about a smoking ban in Traverse City parks.